Anyone who knew my mother knows that she is a list maker and a planner. Here are all her notes for Her and my father’s wedding in September 1966. 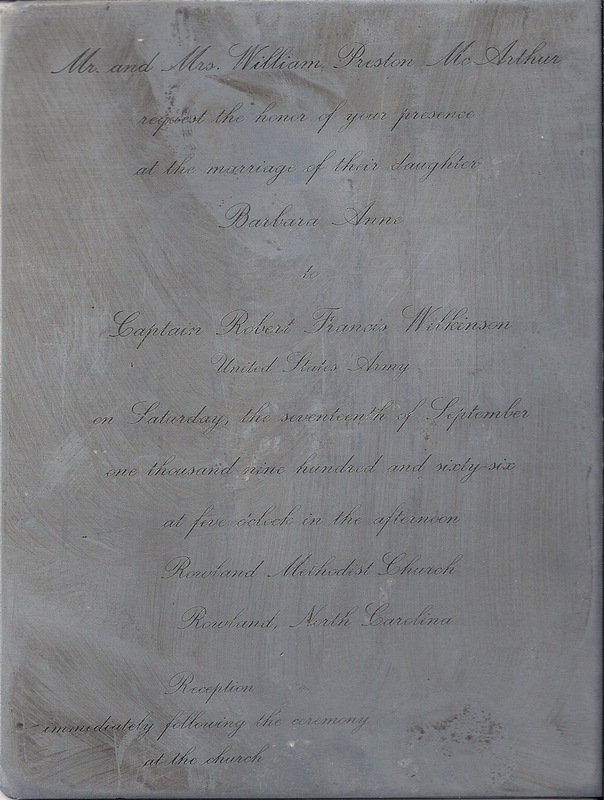 Engraving used to print the wedding invitation for Anne and Bob’s wedding (my parents). 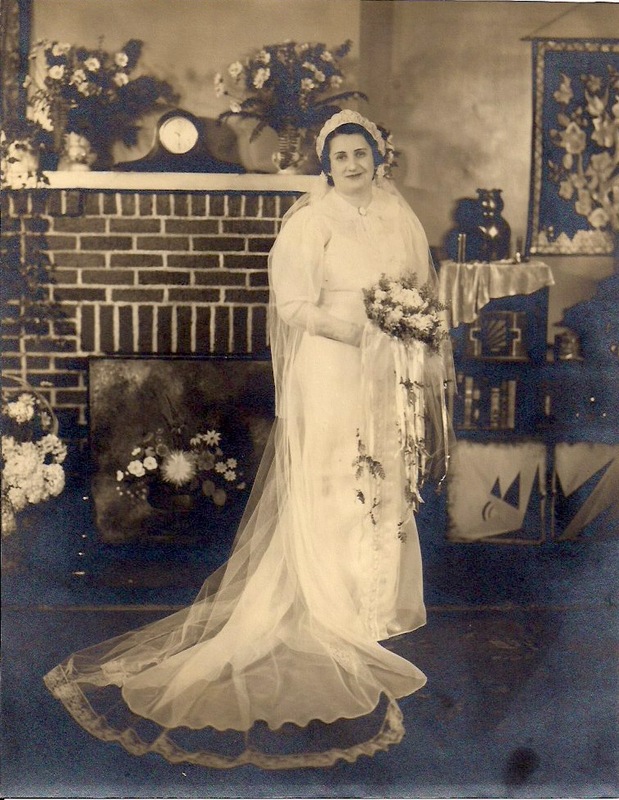 Joanna Stouffer Wilkinson’s (my maternal grandmother) wedding portrait from 1946. I have inherited the painting that is in the fireplace hearth. Joanna painted this some time in the 1920’s or 1930’s.